This article is about command based programming in Java, if you are programming in C++ click here to skip ahead to learning about subsytems. 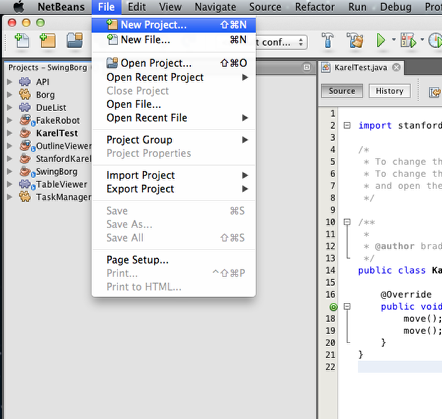 Select the project type to create. 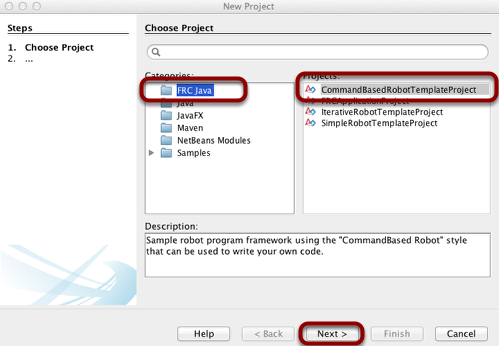 In this case since we are creating a command based robot project, select FRC Java for the category, then CommandBasedRobotTemplateProject from the list of project types and select Next. All the base files will be automatically created for you. 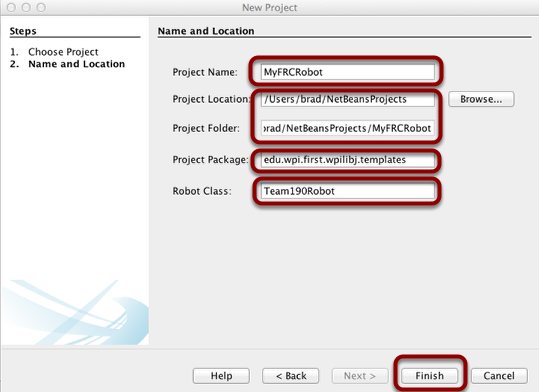 Here you can specify a project name and location where it will be stored. In addition you can supply a name for the base robot class. The Package should be something that uniquely identifies your team or organization. The package declaration qualifies all the code in the project so that code could be shared between organizations without conflicts. After you hit Finish, the project will be created. What is Command based programming?